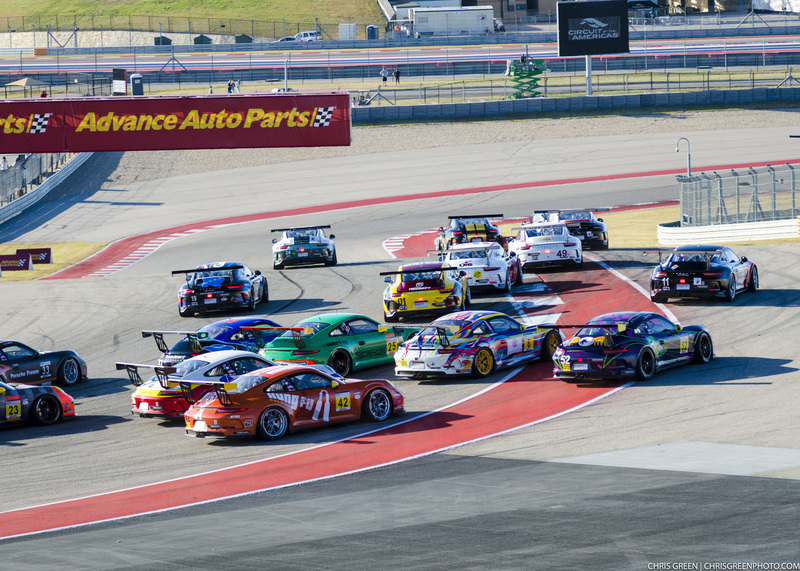 Austin, Texas (8 May 2017) – Kelly-Moss Road and Race (KMR) driver Jake Eidson maintained his IMSA GT3 Cup Challenge USA by Yokohama championship advantage following two rounds of racing at the Circuit of the Americas this weekend. Leading the championship on the strength of four pole positions and three race wins ahead of the weekend, Jake Eidson was hoping to continue the team’s history of overall victory at the track. 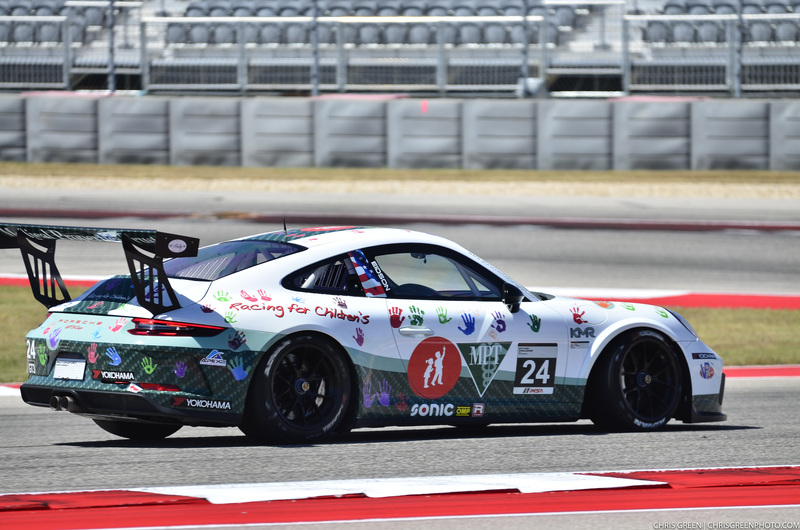 Racing with support of Racing for Children’s and Medical Properties Trust, the young American driver fought back from setbacks early in both races to score a podium finish to close out the doubleheader event weekend. Friday’s race saw Eidson’s race effort compromised right at the start as he was hit in the left rear of the car, causing damage to the suspension. Despite the setback, the young American racer was able to hang tough with an ill-handling machine to bring home a fourth place result and some valuable championship points. 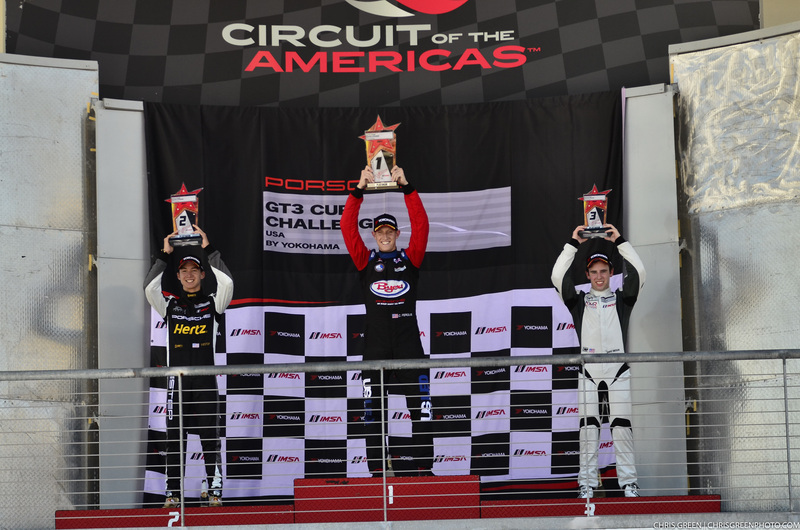 On Saturday, Eidson rebounded to take a COTA podium result after recovering from another challenging race start to come home third at the finish. With a brief break ahead of the next two races (Watkins Glen International, June 30-July 2), KMR will head home to Madison, Wisconsin and begin preparations for another strong outing in just over a month’s time.